It is no trade secret that one of the hurdles of being part of the legal marijuana or cannabis market is finding a way to legally and effectively market your brand while strictly following the label and packaging laws. Beyond the literal legal labeling hurdles (that Leafly does a great job at explaining the state-by-state regulations for), there is the whole next level of making sure your brand is attractive and eye-catching on the shelf. Here are a few quick rules of thumb to keep in mind when marketing your cannabis products. 1. DO keep in mind this list is just a suggestion, the regulations can vary greatly between states. Some rules that work in California won't apply in Massachusetts. 2. DON'T market to children. While this seems straightforward, certain states prohibit even using any type of cartoon-like characters because it can be too appealing to children. If you're questioning if your content might be inappropriate, talk to compliance and design professionals. Don't chance putting out a design associated with your brand that could be interpreted as appealing to children. 3. DO utilize social media, it is currently one of the most effective ways to market marijuana brands. 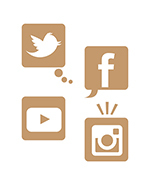 It is also a good idea to read over what the various social media platforms allow related to cannabis marketing. 4. However, DON'T try to actually sell marijuana on social media, and don't try to use the Facebook marketing tools. Facebook and Google won't allow even legal marijuana companies paid marketing on their platforms. 5. DO make sure to include all the warnings and legal information according to each appropriate state on your packaging. This can be things such as THC labels, weight, THC/CBD content, allergy information (for edibles), and more. 6. DON'T think that all those regulations mean you can't also have meaningful and eye-catching packaging. We love the challenge of developing creative packaging that also includes all of the legal labeling requirements. If you want help navigating the waters of attractive and legal cannabis marketing, reach out to us. We'd love to talk.